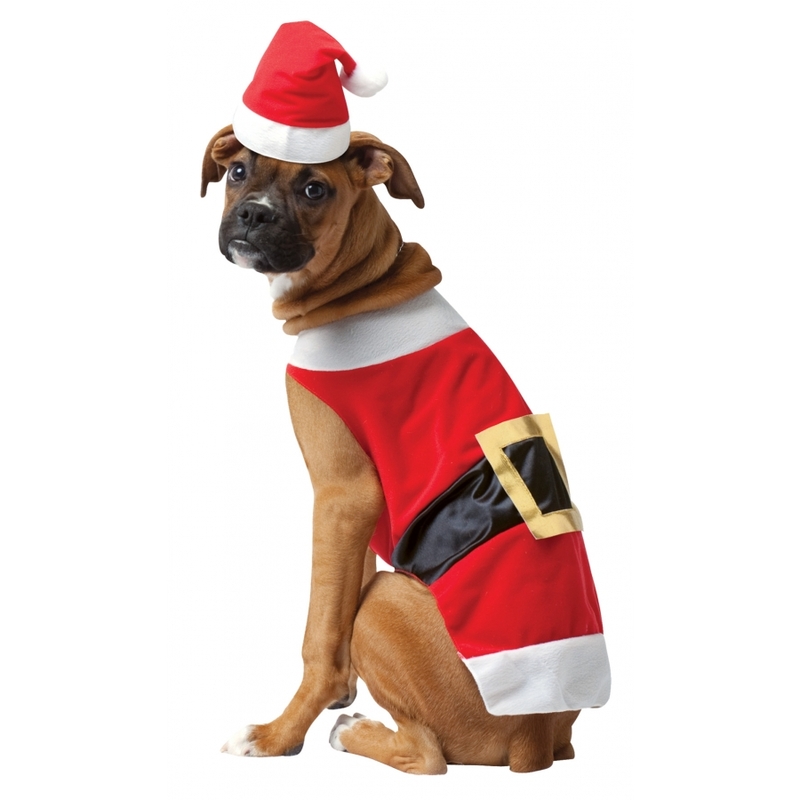 This new Santa costume for your dog allows him to truly be Santa's little helper. Comes with one piece body and hat. Large 24-32lbs, neck 13-16 in, chest 19-22in, length 16-18in.